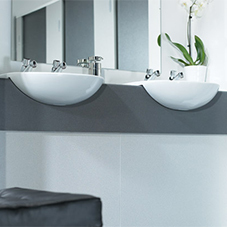 When choosing your cubicle’s material, it is important to know what will suit the style and budget you have, whilst still performing effectively. Whilst there is so much choice in colours and design, Cubic Centre’s material options also have great features and benefits. 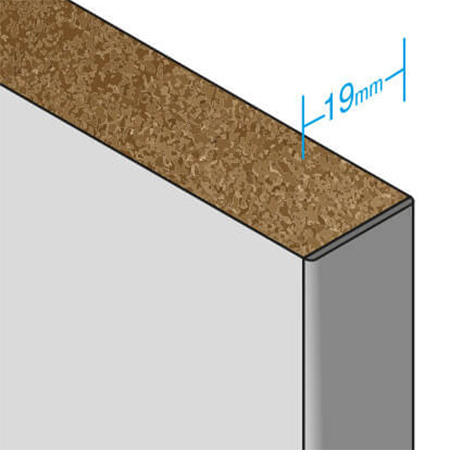 Melamine Faced Chipboard incorporates two decorative melamine surfaces bonded to both sides of high density chipboard under high pressure and temperature. All visible MFC panels have impact resistant, PVC edging applied. 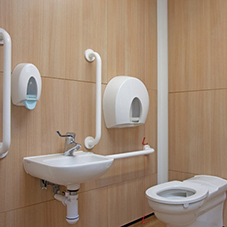 MFC is a cost effective, hygienic and lightweight solution for all non-wet toilet areas. Constructed from multiple layers of high quality kraft paper, reinforced by thermosetting resins under high pressure and temperature. This produces tough, high density, totally waterproof and hygienic panels that have a high level of strength. 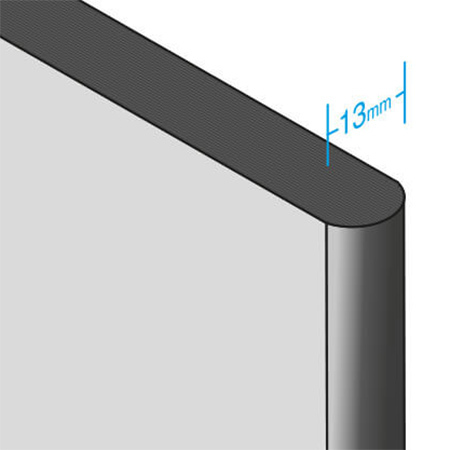 All visible CGL panel edges are machined to a smooth round profile. 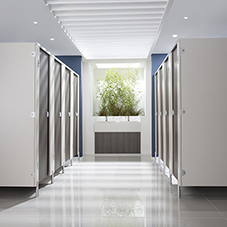 CGL is the ideal choice for washroom and changing room areas that have very high traffic, robust and wet conditions. CDF is a robust high density, black coloured wood fibreboard. Stability, scratch resistance and splash water resistance are among the characteristics of this sophisticated natural wood composite. 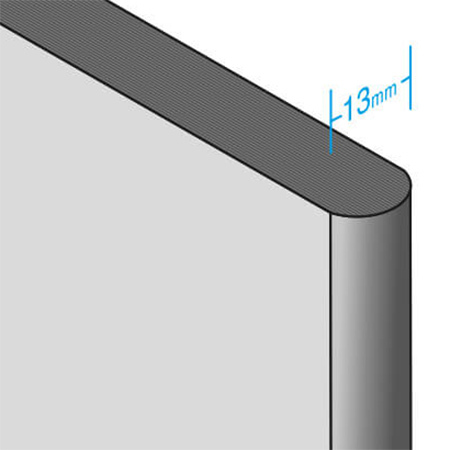 All visible CDF panel edges are machined to a smooth round profile. CDF is an excellent choice when additional durability is required. Constructed from layers of high quality kraft paper, reinforced by thermosetting resins under high pressure and temperature with one decorative surface. The result is a hygienic 0.8mm thick flexible sheet material. 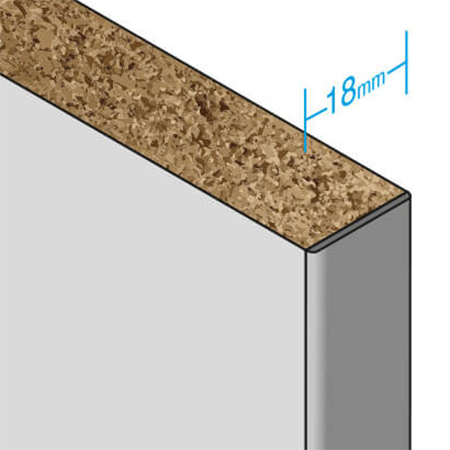 HPL is bonded onto a high density coreboard to produce a strong finished panel. Panels can be post-formed to create a seamless, curved edge detail. HPL is suitable for use in areas of high traffic and reasonably robust conditions.